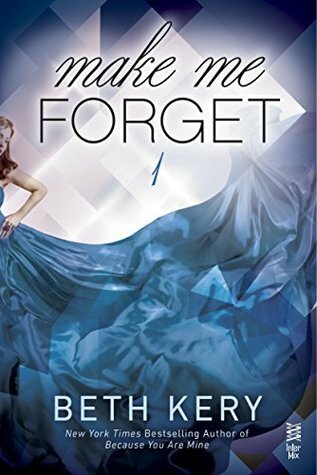 Well the first thing I have to say about Make Me Forget is that it is a book that I will never be able to forget, it is simply amazing!! Harper McFaddan is all about good and honest news stories, with a couple of troubled years behind her, she is more focused on the future and her career. So when she get a strange request to attend a party being held by no other than the Jacob Latimer, software god, she is confused yet enthralled at the same time. Jacob Latimer has worked his whole life to be something, his software breakthrough put him on the map and before he knew it he was something as well as someone people wanted to be. Although Jacob has secrets he longs to hide, not just from others but from himself. Inviting Harper to his party not only affected his future but his past as well, and if there is something people who come across Jacob know is he always gets what he wants. I love this first book in this new series by Beth Kery, I have adored her work for several years now and with every new book I wish there were more like it. I love both Harper and Jacob, not just their characters but their complex issues and pasts, they have both been through rough times but their strong wills shows that it can only make them stronger in the end. This is something I love read about in books, it gives the book its drive and passion not just for the characters but the story as well. Make Me Forget is a brilliant start to this series, with its passion, hidden secrets and ending that will make you want to read the next book straight away, it is a book series that I know I am going love from start to finish.